All Packed and Ready to Go? Travel Tips for Your Next Trip! Last month we shared our top picks for the best apps to download for your next Breathless Resorts & Spas vacation, but what about the rest of your suitcase? In honor of #TravelTuesday, we’re excited to list our best travel and packing tips for your next trip! 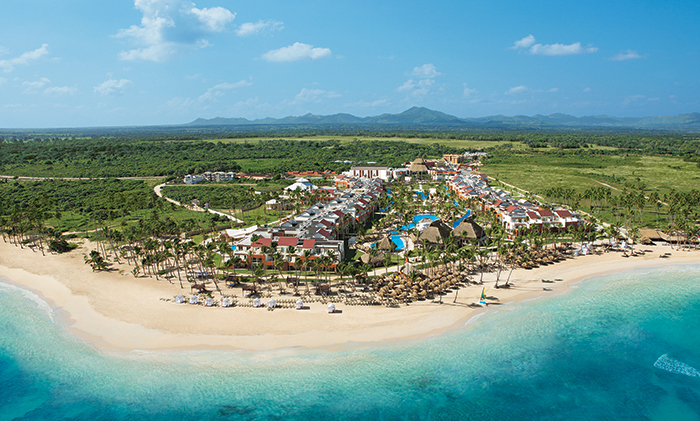 Escape to an exciting all-adult destination in Punta Cana, Dominican Republic, where captivating beauty and chic style combine with non-stop adventure and Unlimited-Luxury®. 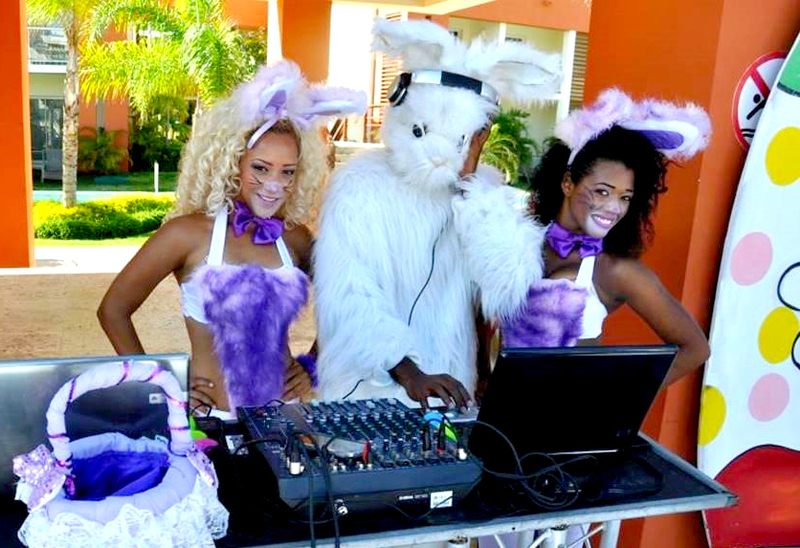 While at Breathless Punta Cana Resort & Spa, mix and mingle with people from around the world or reconnect with those that mean the world to you. Featuring 750 ultra-contemporary suites with private terraces, Breathless Punta Cana is the epitome of luxury and excitement! Before you jet off to paradise, be sure to throw these key items into your bag and follow our tips! 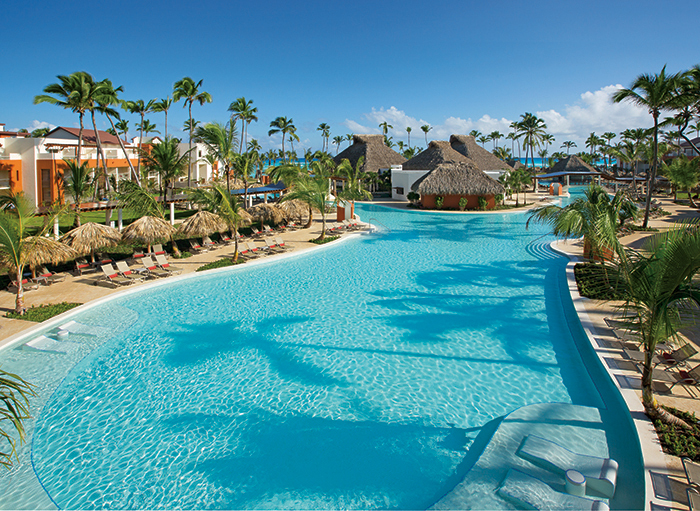 The stunning main pool at Breathless Punta Cana Resort & Spa. 1. Leave extra time: When traveling internationally, it’s always a good idea to build in extra time when traveling to the airport. To ensure you and your party make it through check-in, security and customs with plenty of time to spare, always make sure to depart for your destination earlier than you normally would – there’s nothing worse than a missed flight! 2. Invest in a travel organizer: The excitement of visiting a different country also comes with the responsibility to handle many forms of important paperwork that must be kept organized and neat! Look for a travel organizer or use a bag or pouch you already own to keep your passport, confirmation numbers and customs paperwork safe and in one place! 3. 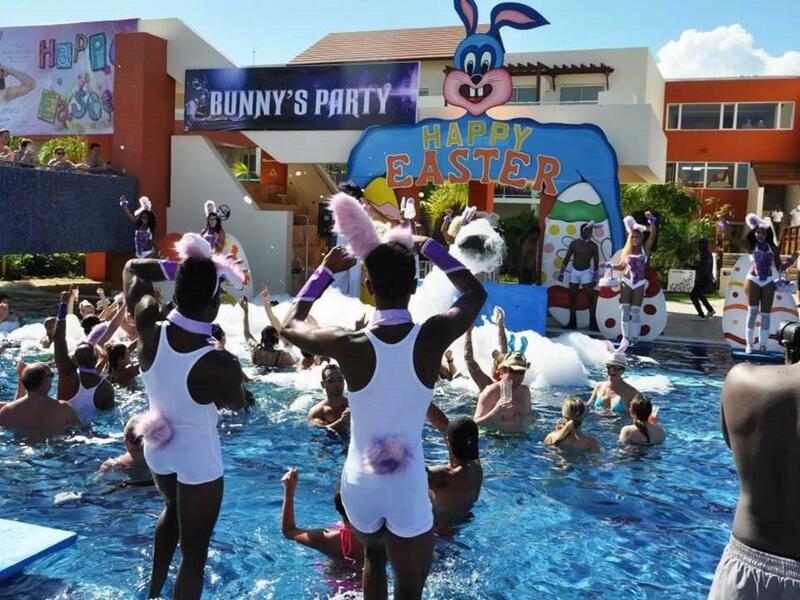 Poolside fun: Although we always keep the music playing and the fun going, by our eight gorgeous pools and beach, be sure to bring a few items to enjoy during your relaxation time! We recommend a great book or e-reader device (bonus points for readers with an anti-glare screen!) or a music streaming app on your smart phone to enjoy some of your favorite tunes while catching a few rays. 4. Fashion for day and night: Although many of our eleven gourmet dining options welcome casual, resort attire during the day, some restaurants do call for more formal attire at night. Be sure to pack your favorite swimsuit and cover-up for daytime at our pool parties but also throw in some long pants and collared shirts for men and blouses, skirts, slacks or dresses for women. It’s always fun to get dressed up for dinner! 5. 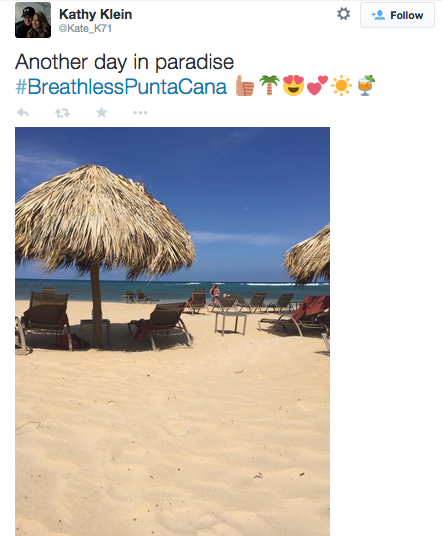 Selfie Stick or Photo Accessory: The fun never stops at Breathless Punta Cana and if you’re a fan of snapping pictures, we don’t want you to miss a moment! From selfie sticks to fun snap-on camera filters, there are many options (at every price point!) to help you capture every fun-filled moment of your vacation! All ready to go? Great! 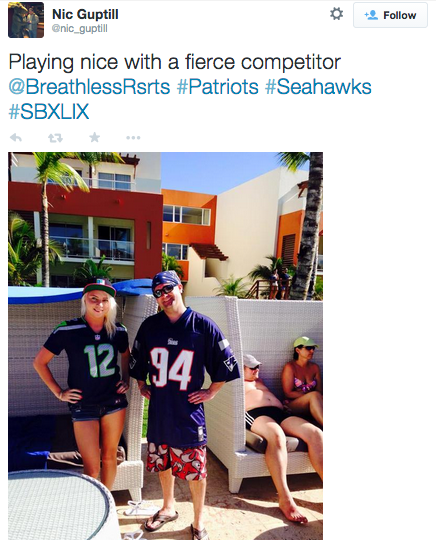 We’ll see you soon at Breathless Punta Cana! In today’s digital world, it’s no wonder that our phones play a large role in how we spend our time during the day! As much as we may try and disconnect while on vacation, it’s no secret that we’ll still have our trusty smart phone close by while away in paradise. 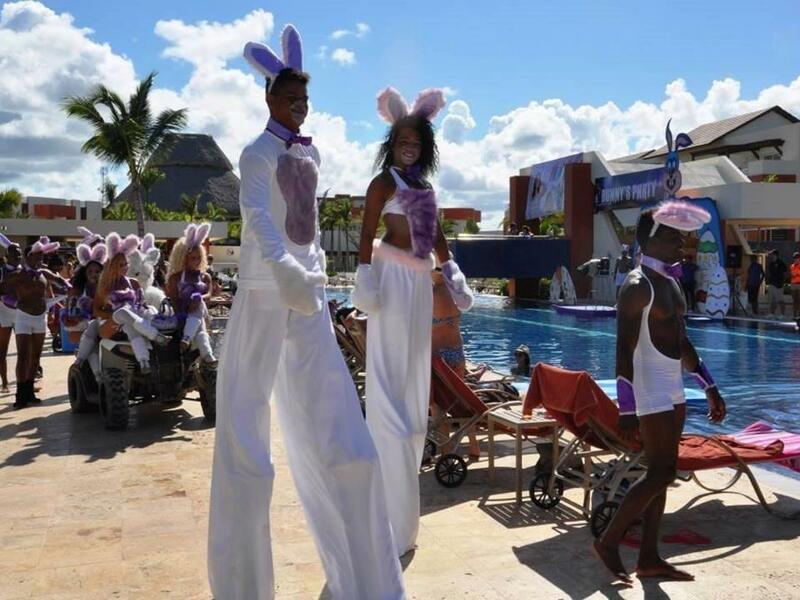 We invite you to escape to an exciting all-adult destination in Punta Cana, Dominican Republic, where captivating beauty and chic style combine with non-stop adventure and Unlimited-Luxury®. 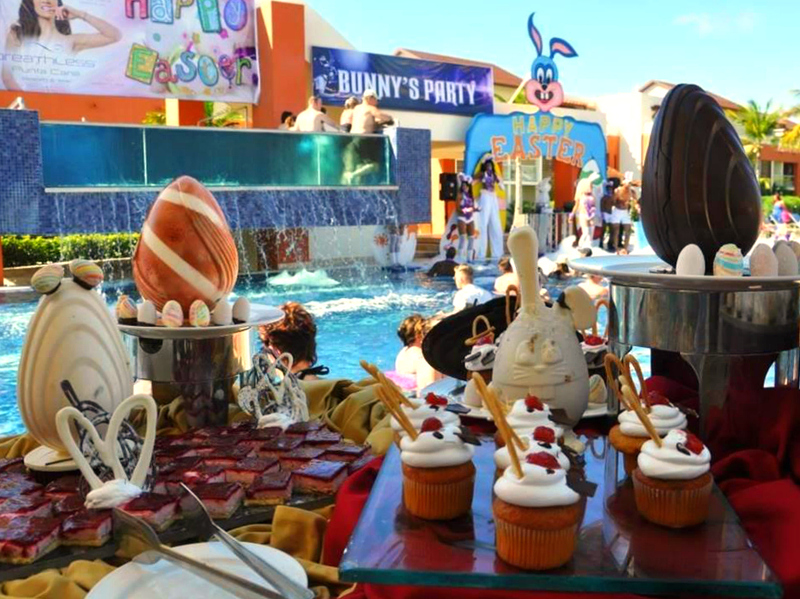 While at Breathless Punta Cana Resort & Spa, mix and mingle with people from around the world or reconnect with those that mean the world to you. Featuring 750 ultra-contemporary suites with private terraces, Breathless Punta Cana is the epitome of luxury and excitement! We’ve compiled our top list of smartphone apps to download to make your next vacation a great one! 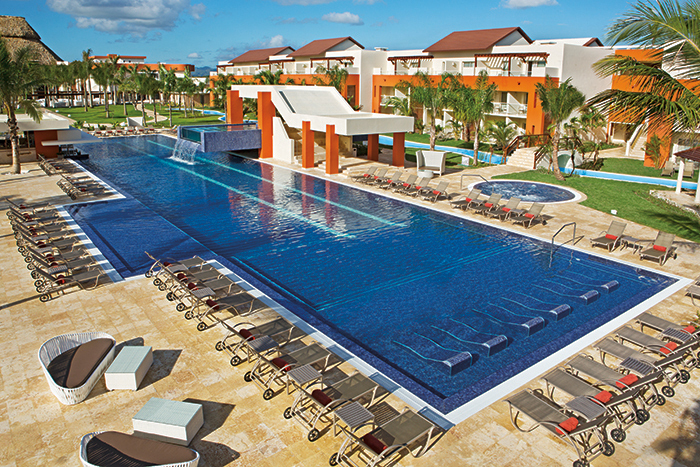 The freestyle pool at Breathless Punta Cana Resort & Spa. 1. Music streaming: if there’s one thing we can’t leave home without, it’s great music! Whether lounging by the pool or working up a sweat in our fitness center, be sure to download a music streaming app to keep all of your favorite songs within an arm’s reach. 2. Photo sharing: Say cheese! While on vacation, there’s nothing better than taking lots of photos to commemorate your amazing experience. If you’re looking to share your photos with family and friends at home, check out a photo sharing app to upload pictures and share your experience! 3. Games: With thousands of fun, smartphone games to chose from – the possibilities are endless for a little downtime fun! Select from classic card games or mobile versions of your gaming console favorites. You can even download group games to play with friends! 4. Travel assistants: Keep everything from your boarding pass to hotel reservation confirmations to airport transfer information safe in one place! Chose from a wide variety of helpful travel apps to keep your important information safe and together in your phone. 5. 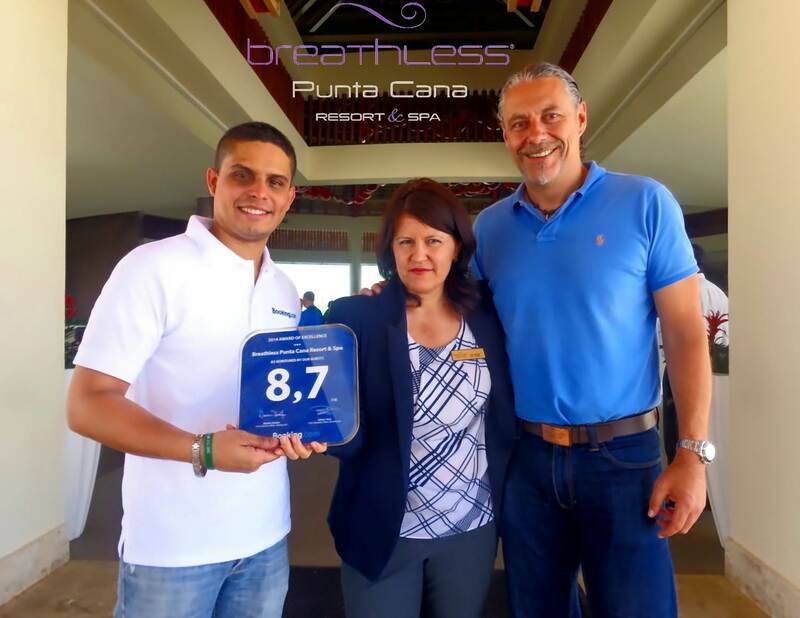 Breathless Resorts Unlimited Connectivity: Experience Unlimited Connectivity and stay connected with friends and family while at Breathless Punta Cana. Download the Breathless Resorts Unlimited Connectivity app and receive free calling to the US, Canada and local land lines and free WiFi throughout the entire resort! The app also provides guests with access to the daily activity calendar, entertainment schedule, dining menus, restaurant times and even allows you to book spa appointments and make special requests with staff members! Do all of these suggestions have you itching for your next vacation? Act fast! Now through April 30, the longer you stay the more you save with our Unlimited Air Credit special offer! 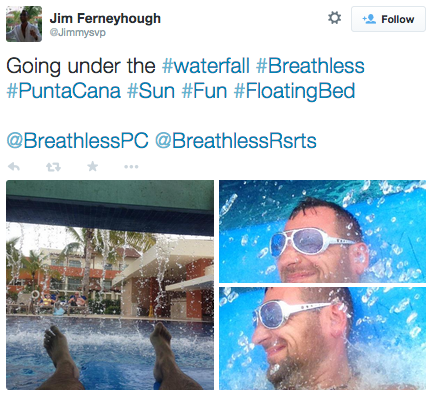 Get $50 air credit per room, per night when you reserve your stay at Breathless Punta Cana Resort & Spa by April 30, 2015 for travel from February 25, 2015 to August 21, 2015. Plus, receive up to $400 in resort credits! Start downloading; we’ll see you soon! Tweet Tweet! Our Favorite Fan Photos from Twitter! We had such a great time sharing our favorite fan Instagram photos last week, we thought we’d celebrate today with our favorites from Twitter! You can find us at @breathlessrsrts! 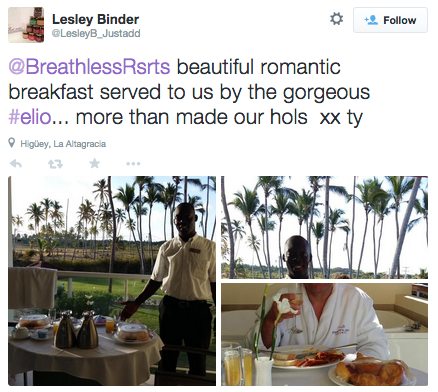 Be sure to follow us for daily updates from Breathless and tag us in your favorite vacation photos! Thanks for sharing your #FanPhotos with us! 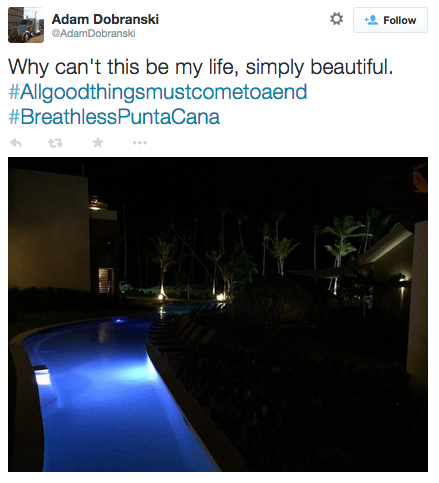 Book your Breathless Punta Cana escape today and get tweeting!